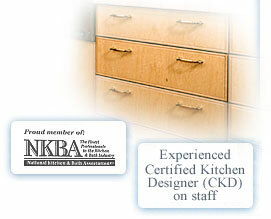 Let Fine Wood Cabinets’ skilled furniture makers and innovative engineers craft impeccable cabinetry for your home. Our Oak Harbor, Washington location combines a kitchen design studio with a state-of-the-art manufacturing facility, allowing us to design, produce, deliver, and install cabinetry for every area of your home. We are masters of detail, knowing that the success of the whole is truly the sum of each “part.” From curved door fronts to a unique red-stained finish to three-story bookcases, we contribute a “part” of highest quality, designed exclusively for you.